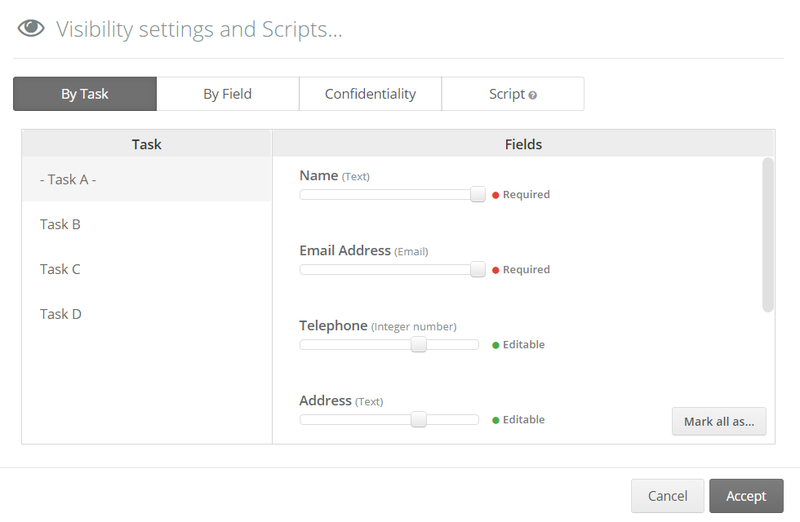 While setting up the process form, you should add all the fields that will be used throughout the process. We are aware that not all fields should be visible in all tasks, which is why it is possible to define the visibility for each field in each task of a particular process. Required: You must complete the field in order to move forward. Otherwise, Flokzu won&apos;t allow you to complete the task with this empty field. 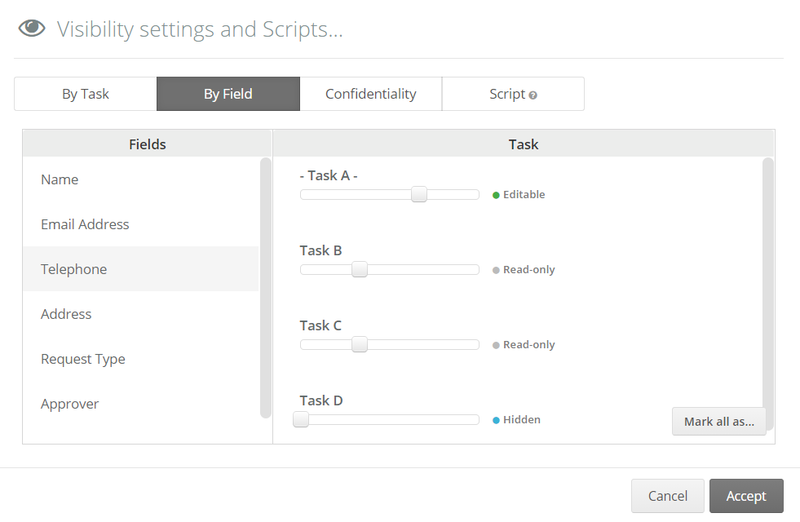 Editable: The content of the field can be modified. Read-only: The field will be visible, but you won&apos;t be able to modify it. Hidden: The field won&apos;t be visible in this task. Flokzu visibility can be defined through two elements: tasks or fields. You can choose if you want to use just one or both. Approver and Comments to requester be Hidden. There are fields that have a special visibility, like tables, in which you can define a visibility for each column. Hidden: It works in the same way than with traditional fields. Inactive: The calculated field won&apos;t do the operation again if the fields involved are modified. Active: The calculated field will do the operation again in case the fields involved have changed their value. It&apos;s also possible to define more complex visibilities (depending on field values or buttons pressed), for which you need to use a visibility script.